TOO MUCH, TOO FAST, TOO SOON? BE ‘FIT SMART’ IN 2015! Have you made any resolutions for the New Year? Maybe they involve getting fitter or losing weight? Or perhaps you’ve signed up for a sport or an event, which you’ve been thinking about doing for a while? It’s great that so many of us think about improving our fitness once the festive season is over. And for many people, that can begin with something as simple as a new gym membership or a commitment to get outside more often for a healthy walk. But what if you take on goals that are too ambitious or try to get too fit, too fast? It’s tempting when you’re getting back into exercise – either after a short break like Christmas or a longer time away – to believe you’re capable of more than your fitness allows. Maybe the last time you got on a pitch or in a pool was a few months ago. Did you know that your fitness can deteriorate quite quickly, even with a few short weeks away from exercise? That’s why it’s important to ease yourself in gently. Now isn’t the time for showing off or for trying to beat the guy, who’s been playing sport year-round and who already has a realistic plan for getting and staying fit. You need to look at your own fitness levels to grow and build safely from there. In fact, many coaches recommend a benchmark session at the beginning of any season (new year included) to test fitness levels and make firm plans. The good news is, you don’t need a coach to make this happen. One way you can do this for yourself is to play your sport or do your exercise, while staying within 80% of your maximum effort. As you exercise, keep in mind how your body is feeling and don’t push yourself hard. This way, you can stay safely within your own levels. The key is to accurately and honestly measure what you can comfortably do. Once you know what you’re capable of – how fast and far you can run, how many lengths you can do in the pool, how long you can last on the pitch, for example – you can work out a weekly/monthly/yearly plan that builds on your base level fitness and which will help you to avoid injury and burn-out. A top tip is to ensure your plan builds slowly and gradually. Of course, it’s good to have big goals and to aim for sports and events that inspire you, so don’t be afraid to reach for the stars, too. Just do it calmly and carefully, considering what you can realistically achieve week-on-week throughout the year to reach where you want to be in 2015 and beyond. We wish you a happy, healthy and fit new year! WINTER WARMER: KICK INJURIES INTO TOUCH! Did you know the history of rubgy goes back at least 100 years? Rugby is one of the most popular sports played around the world. Even if you don’t like playing it, chances are you’ve seen a game in real life or on the tv. Rumour says the game was invented by a Victorian schoolboy. This boy was playing football at Rugby school and during a normal game, he decided to pick up the ball and run for the goal, instead of just kicking it. And so the sport of rugby was born! Nowadays there are two types of rugby – rugby union and rugby league – with different rules, styles and history. Despite their differences, the main aim of the game stays the same. It’s two teams pitted against each other and they must score points by touching the ball over the other’s teams back line or up and through H-shaped posts. Getting the ball around the pitch involves skill and strength – not only can players kick the ball, they can throw it and tackle each team's opponents. Rugby is a very physical sport and if you play it, you’ll need to be tough, have great stamina and be agile. You’ll also need to be smart about avoiding injury. Everyone knows that rugby is a high impact sport. In fact, South African University of Pretoria carried out a study on rugby injuries. It found that the injury you’d get from being trampled by an elephant is the same as a hard rugby tackle injury! Of course, you’ll want to avoid any injuries, but especially rugby bone or ligament problems. You’ll also want to avoid concussion – another common rugby injury. You get concussion from a blow or damage to your head. If you have concussion, typically you might briefly lose consciousness and have memory loss and confusion. Just like cartoon characters, you might even see ‘stars’ or experience visual disturbances. Most people who get concussion don’t need serious medical treatment and symptoms will be short-lived – although it is always worth getting checked out by an onsite medical team or doctor. Serious signs to look out for that need immediate medical attention are if someone remains unconscious, has difficulty staying awake, speaking or understanding what people are saying or is bleeding or having a fit. At Bespoke Injury Management, we want to look after all of your health needs, whether that’s rehab from a serious injury, ironing out niggling strains or strains or keeping you supple and in top shape for your next game, so you maximise your chances of avoiding injury altogether. 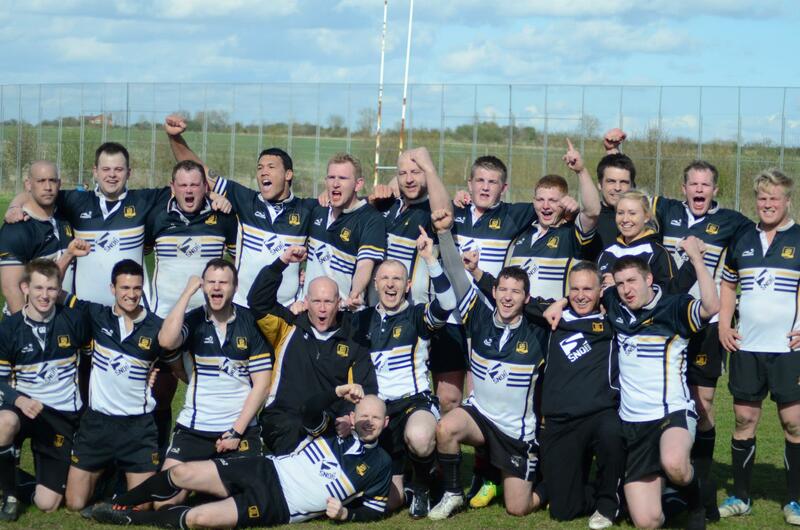 So, whether rugby is your game or you’re a different kind of sports player, you’re always welcome to come and see us. 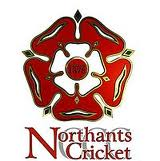 By the way, Donna Norman is the on-pitch physio for Rushden and Higham Ferrers Rugby team! You probably already know that bumps and bruises are inevitable, when you play sport. That’s particularly true if you participate in an impact sport or a game like hockey, where a heavy ball can fly at speed or it’s possible to sustain an injury from a hard hit. Any injury like this can be painful, even if it doesn’t stop you playing your sport. No matter how skilful you are, accidents are unavoidable. But did you know the sooner you treat an injury, the more likely it is to get better quickly? Here are some simple steps you can take yourself to promote your body’s healing. Rest is really important in treating injury. We know how tough it is for active sportspeople to stand still, let alone rest up, but it’s essential for a speedy recovery. If you don’t rest, you risk further damage to your body and therefore a longer healing time. Ice is also great for treating bumps and bruises. It will take down any inflammation and numb some your pain. A bag of frozen peas wrapped in a towel can be effective or you could apply an ice pack. Make sure you don’t put the ice directly on the skin, as it could damage it. Compression is useful to take down inflammation, too, but make sure the bandage or tubi-grip you use isn’t too tight, as not only will it be more painful, but it could make your injury worse. That said, compression can help to reduce painful swelling, which is what makes movement more difficult. Lastly, elevation is also helpful when combatting the body’s inflammatory response to pain. Raising an injured part of your body encourages blood flow back to the heart. Aim to raise the injured part of your body above your heart – whether that’s putting your arm on a cushion or lying on your back with your legs against a wall or stable surface, for example. You can also take some painkillers for your pain and, if you can tolerate it, ibuprofen will help both with swelling and bruising. Do be aware, however, that RICE is a first-aid treatment. If your injury is more serious or if the pain lingers beyond a day or two, it’s best to get it checked out by a professional, like Donna at Bespoke Injury Management. This is also the time when you could start to use heat on your injury, but we’ll be able to give you a proper diagnosis and treatment, should you need it. And don’t worry – we’re used to seeing people with a bag of frozen peas on their leg or ankle or head. 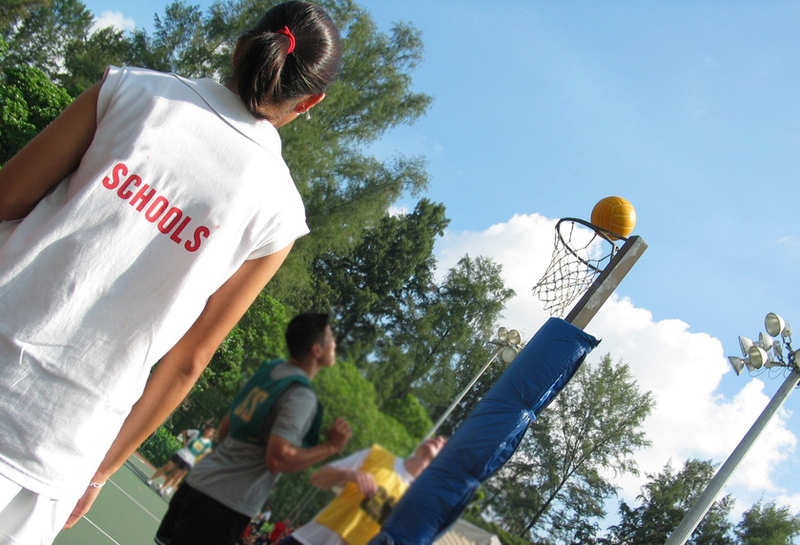 If you’re quick on your feet and don’t fancy the outdoor slush of a muddy pitch, but are looking for an energetic team game, have you considered the excitement of a fast-paced netball or basketball game? Both games rely on speed, agility and dexterity. Not only that, but with specific rules about how you handle the ball and where you can move on the court – in netball, your position controls where you can go and what you can do – both netball and basketball are suited to fast movers and fast thinkers. On court, it’s crucial that you have great flexibility and stability, particularly in your feet and ankles, as you’ll often be turning on the spot. Another favourite indoor sport that demands fast movement and agility is squash. Again, you’ll need to have strong ankles to cope with the pace, movement and change of direction that characterises this popular sport. That’s why it’s essential you warm up and cool down properly. We talk about warm up and cool down sequences a lot at Bespoke Injury Management, but that’s because they’re so important to injury prevention and management. We recommend a dynamic stretch routine before you play – where you use movement in your stretching. And when you cool down, we think static stretches – the ones you hold for 30-90 seconds – are generally better. A great warm-up or cool-down sequence will take you from the top of your head – stretching out your neck muscles and shoulders – through your core and down into your legs and ankles. Even a simple ankle-circle clockwise and anti-clockwise for a few seconds on each leg can make all the difference between a healthy game and one marred by a sprained or twisted ankle. It’s also important you choose the right footwear for your sport. Sloppy, badly fitting shoes that make you slide over the court with no grip will do your body no favours. Instead, make sure you invest in properly fitting footwear with the right style and grip for the game you’re playing. Not only will your shoes make you more stable on court, they’ll probably make you faster and more responsive, too. That’s a win all round. You might also be wondering if it’s OK to exercise through pain? Our general advice is that it’s not a good idea. What starts out as a small problem can easily turn into a full-blown injury, particularly if you don’t rest enough. That’s not to say you won’t get the odd aches and pains if you’re running around on court again, but if your pain lingers or worsens, it’s a good idea to get it checked out soon. Here at Bespoke Injury Management we’re always on hand to advise, reassure and treat, whatever your problem, so don’t hesitate to ask. And finally, if netball, basketball or squash aren’t your thing, don’t forget this month sees the Great North Run, Ryder Cup and World Sailing Championships. So there's plenty to enjoy! Kick off a great training regime! If you’re a football fan, you’ll know that UK league football kicks off in August, with Manchester City bidding to retain the Premier League they won in May. The season is starting a little later this year, following the World Cup in June and July. England will be warming up this month, too, for their Euro 2016 qualifying campaign, which begins with matches in September, October, and November, plus March and June next year. As the season starts, every manager is hoping for the best line-up for their teams. But how do pro footballers stay in shape in the off-season, so that they’re ready to go when it all starts again? 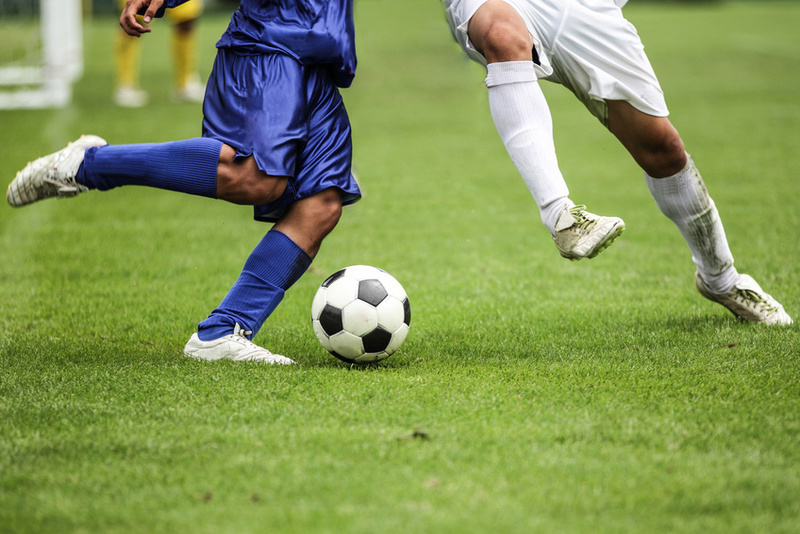 It seems that many footballers keep their workouts going, but they may mix it up, like other sports players, with sports or activities they don’t normally do. They may do gym work, circuit training, running or something completely different. Some choose to work on a particular area – like strength or core training, power or agility. In fact, at the recent Commonwealth Games, it was revealed that swimming gold medal winner Hannah Miley includes rock climbing in her workouts to build upper body strength. Rest is also an essential part of staying fit, as is nutrition. You may have been doing all these things, too, if your sport, like football, hasn’t officially kicked off yet. However, you’ll need to watch out that you don’t over-do it, even when you’re not playing your favourite game. Crossing over into running or swimming, for example if they’re not your sports, could lead to other injuries, if you’re not careful. That’s why it’s important you include an effective stretching routine into your workout. Make sure you gently work all your muscle groups from your head and neck right down to your calves and ankles. Or why not pick up a yoga or Pilates class to guide you through some great, stretching bodywork exercises? If you’ve taken time out from exercise, it’s also important that you ease back into a routine gradually. You may have been super-fit when your season finished, but fitness gradually disappears and you shouldn’t be discouraged, if the first few weeks of training feel harder than you expected. Just do what your body is prepared to do and try to avoid injury by building up gradually. After all, the worst thing would be to start the season sitting on the sidelines, because you’re injured! And when you start to play, keep the focus on stretching and a good warm-up. If you’re playing a sport like football, your hamstrings, quads and calves will probably be much tighter than they were at the end of the season. It’s important to pay attention to these key areas. Of course, if you do pick up an injury – or even just a little niggle – the sooner you get it sorted out, the better it will be. We know how important it is not just to get fit, but to stay fit, so you can enjoy your sport throughout the season. 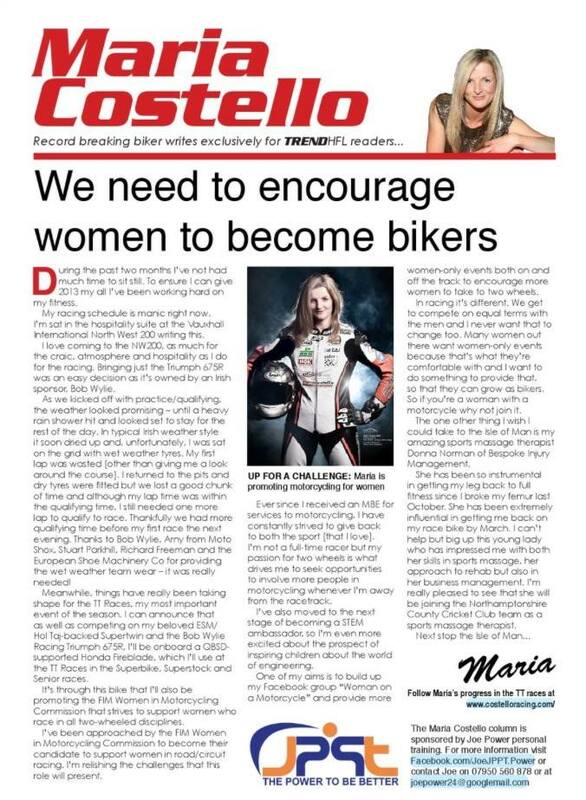 Maria Costello is known as 'Queen of Bikes' for good reason – she's one of Europe's top female bike racers. Her career began in 1995 and she held the World Record as fastest woman to lap the Isle of Man TT course for several years. She’s the first woman in the history of that famous race to stand on the podium, too. 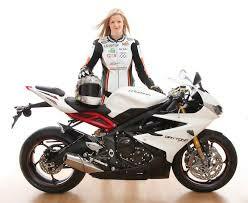 Maria’s also won nine trophies at Manx Grand Prix races. She's acted as a stunt double for famous actresses, including Reese Witherspoon and Tamzin Outhwaite and been awarded an MBE. “I get to race all over the world. I feel like the luckiest girl in the world most of the time,” says Maria. But it's not all been a smooth ride to success. Racing two years ago, Maria suffered a serious leg break. Looking for local sports therapy, Maria, who comes from Northampton, discovered Bespoke Injury Management on twitter. 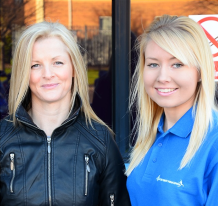 Donna from Bespoke Injury Management met with Maria to discuss becoming part of Maria’s support team. The meeting went well. And from there, work on rehab and getting Maria back to racing fitness began. “Our rehab plan focussed on battling scar tissue, getting the muscles to work better and building up strength,” recalls Maria. But it wasn’t just about the physical healing – part of Donna’s job was to help keep Maria positive and on track. "Through treating Maria, I’ve learned just how committed professional sports people are. Injuries are not going to hold them back," says Donna. "I really enjoy working with such a motivated professional, who’s happy to take on board any new ideas." "It can be hard at times to keep someone motivated through a long injury," adds Donna, "but we seem to have a great relationship. We bounce off one another. “It’s great to have Donna as part of my back-up team. I go to see her every week when I need to She’s really positive with me and you need to have people around you like that, especially in a sport like mine where you can get hurt,” she says. When Maria came back from her leg injury in 2013, she went on to have one of her best seasons ever. Bespoke Injury Management continues to work with the superstar. Of course, you don’t need to be an elite sports player to benefit from Bespoke Injury Management therapy. We’re committed to getting you back to your sport, job or lifestyle, whatever your level of fitness. June sees an exciting month for tennis fans – fresh off the heels of Roland Garros (the French Open) in Paris, the world’s best tennis players will move to the UK – first for a ‘warm-up’ at Eastbourne, before the action kicks in at Wimbledon at the beginning of July. Among the stars fans can hope to see are home-grown talent Andy Murray, as well as top seeds such as Rafa Nadal, Novak Djokovic, Stan Warwrinka and Roger Federer among the men and Serena Williams, Na Li, Agnieska Radwanska and Simona Halep among the ladies. But the path to success and stardom hasn’t been straightforward for any of these seeds, with many of them testifying they’ve been dogged by injury and strains, preventing them from performing at their best. All professional sports players accept that injury is likely to happen – they know the key is to minimise the possibility of it happening, to get it treated when it does occur and to be mentally prepared for it. At Bespoke Injury Management, we know that all of these things are important – prevention, treatment and psychology. That’s why we can help you when a little niggle begins, giving you advice and treatment to prevent whatever is wrong from getting worse and having a serious impact on your sport, whether that’s tennis or something else. We also know that early and frequent treatment is likely to minimise the effect of any injury you do sustain and we will help you to get better quicker. Not only that, but when you come to see us, we’ll give you advice on how to get back to fitness without further injury or irritation. You’ll find that we understand how tough it is psychologically when injury takes you out of your training and competition schedule, so you’ll find that, unlike a general physio, we’ll be sympathetic to your needs and your desire to get back on the court, pitch, course or wherever as fast and healthily as you can. You’ll be pleased to discover that we’re also skilled at dealing with particular problems associated with your sport – for example, we find tennis players often struggle with shoulder problems, so we’re good not only at manipulation and massage to speed healing, but we know exactly what exercises will help you, too, and can offer effective taping – making you look just like a tennis star! It’s our aim to keep you playing, keep you training hard and keep you enjoying your world of sport, too. GET FREE FROM BACK PAIN THIS MAY! Whether you’re a spin bowler or sofa surfer, keep your back safe this month. 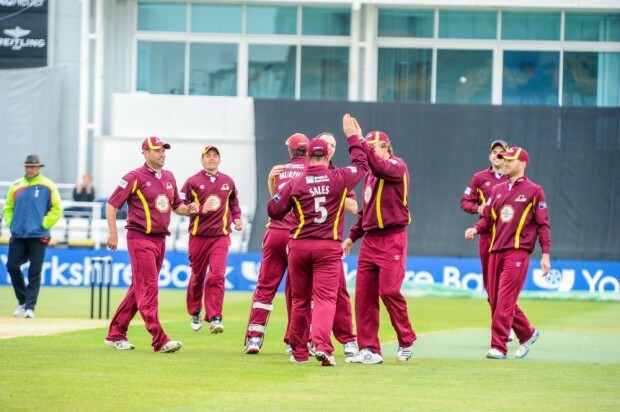 Did you know that May is the month, when the UK cricket season really gets going? Or that you can now watch county teams play not just at weekends, but on weekdays, too? Longer, warmer days and changes to the cricket schedule mean cricket fans can indulge their passion more easily this year. Of course, like other sports, cricket has its fair share of risk and injuries. Among the top five cricket injuries are hamstring strains, lower back pain, side strain, shoulder pain and sprained ankles. All these conditions are not only painful, but can negatively affect your season – especially tough if you enjoy a sport that’s not available all year round. If you're a keen bowler, you're particularly at risk, especially from lower back pain. You may be vulnerable to stress fractures in your back. Just bending to pick up a ball or standing still for a long time can make your back tired and stressed – leading to short-term or chronic back pain. The problem is, your back’s involved in so many movements, not only on the pitch, but off it, too. And back strain is painful, limiting and frustrating. WHY BACK STRAIN IS MORE THAN A PAIN! If your back hurts, it affects simple, everyday jobs, like stacking the dishwasher, getting in your car or even putting on your shoes. It’s not only when you play sport, that you can hurt your back – sitting badly, twisting awkwardly, even carrying heavy shopping can all bring on back pain. Fortunately, there are things you can do to help yourself. One is to be mindful about how much strain you're putting on your back. Building core stability – through simple exercises or stretching disciplines, like yoga or pilates – can be really helpful. If the muscles in your back are stable, you're less likely to suffer injury. And if you do injure yourself, you'll heal quicker. A good diagnosis about your back pain always helps, so do pop in to see us anytime. We're always happy to take a look at you. And we’ll be able to tell if you have a more serious problem, like stress fractures, which would mean you’d need to rest up for a while. Sports physio will help you get back on your feet – and back on the pitch – as soon as possible and ensure you do it safely. We’ll give you solid advice on how to prevent further injury. We can take a look at issues like posture and can give you useful exercises to build strength. Although we love seeing you, we love seeing you enjoy your favourite sport even more, whether that's on the pitch or from the sofa! ONE billion pounds – is the amount the NHS spends on back problems each year. FIVE million days – are lost to British business each year through back-related sick leave. FORTY-EIGHT hours – is the maximum time you should wait, before getting your back pain checked out. Did you know that April marks the official start of the Open Water swimming season? Or that the same month sees more than 30,000 runners take to the capital’s streets for the annual London marathon? Perhaps you fall into one of the categories above – a sports-player who’s beginning to increase their training looking at the season ahead or one who’s coming to the end of a long period of training and events? If that’s you, did you know that a sports massage or therapy could help you? Maybe you think sports massage or therapy is just for an acute injury? Yes, it’s great in those situations, but ask any committed sports-player and you’ll find out that many consider massage to be crucial as part of their training, too. That’s because research shows having regular sports massages gives not only short-term benefits, but eases out long-standing pain and injury, too. So why suffer with that shoulder pain or niggly knee any longer? If you’re starting out on your training programme, at Bespoke Injury Management we recommend a massage as a great way to loosen up your muscles and ensure you’re flexible, so you get stuck into your favourite sport straight away this spring and summer. Even if you’ve rested up before starting again, you might be carrying a long-standing injury with scar tissue or stiff muscles that could benefit from a professional sports massage. Then you’ll have peace of mind that you’ll perform at your best throughout your training and peak when it matters most to you. Sports massage will ease away any tension and enable you to feel less tired, too, helping your muscles regain strength quicker, have fewer damaged fibres and less inflammation, as well. So you’ll feel great. As well, a good sports therapist, like Bespoke Injury Management, can spot any problems before they develop into serious issues for you– things like muscle tightness, the beginning of a flare-up, even body imbalances. You know already that there’s nothing worse than being out of action from a serious injury or problem, that could have been prevented. At Bespoke Injury Management, we want to help you avoid these problems, stay fit for training and events and enjoy your sport to your maximum ability. You can trust us to keep your body flexible and injury-free for whatever sport you like to do best – including watching sports coverage on your sofa! Don’t forget these key dates for April! Box End Lake and Rutland Water open for swimmers and triathletes and the London Marathon runs off on Sunday April 13th, with Mo Farah making his debut appearance! New offers to all Local Sports Teams Coming soon!! The clinic i work from in Wellingborough has recently changed hands and now has a new buissness name. The clinic is now called Oxford Street Therapy Centre formally known as Callistherapy. The clinic will run exaclty the same, with all the same therapists. I completed my Sports Therapy Degree at The University of Northampton and Moulton College the course was split between the two. Moulton College contacted me to see if they could interview me as a past student and write a feature on me in their Higher Education Magazine (see below). May, 2013 http://data.axmag.com/data/201305/U50051_F217666/index.html Follow this link to view the full magazine. Knee Rehab equipment used to speed up recovery! Kneehab XP is now available to all clients that visit Bespoke Injury Management. This can help if you are undergoing knee surgery-knee replacement, arthroscopy, ligament, meniscus or leg fracture repair. Helps activate the quadriceps muscles, improving pre-operative condition… and aiding your post operative recovery. 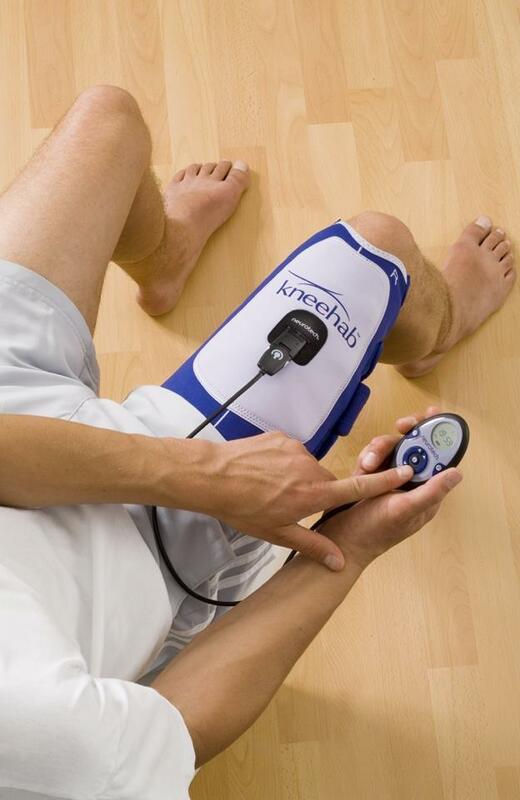 Kneehab XP works by re-educating and strengthening the quadricep muscles through cycles of contraction and relaxation.